Welcome, officially, to the Advent season my friends. This season is such a precious time as we prepare for the coming of the King of Kings, our Lord and Savior. When I think about this time of preparation and reflection, I find myself prayerfully considering what this season could look like in the coming days in my own life. Contrary to what our society and culture is putting out there, this time is not about the best deals we can find on toys that your kids will likely forget about in a couple weeks. Nor is it about uncovering that daily piece of candy or trinket from behind the cardboard flap of a mass-produced Advent calendar. It’s very easy to get wrapped up in what this season “should” look like. Perfectly decorated Christmas trees, stockings hung by the fire with steaming mugs of hot chocolate…it all seems so idyllic. Something that continually comes to mind during this time is “come as you are.” We don’t have to get ourselves perfect and presentable to celebrate the birth of our Savior. Jesus embraces us and meets us exactly where we are; flaws and all. 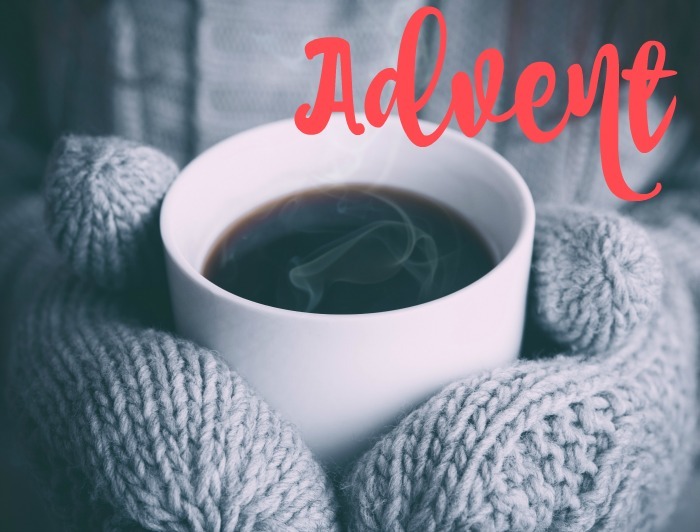 Whether it’s through an Advent devotional (She Reads Truth and Naptime Diaries have great ones!) or just a few moments of prayer each day, I hope that no matter where you are on your walk with Jesus that you embrace this season and find some quiet time to spend with Him. How do you celebrate Advent? Share in the comments below!